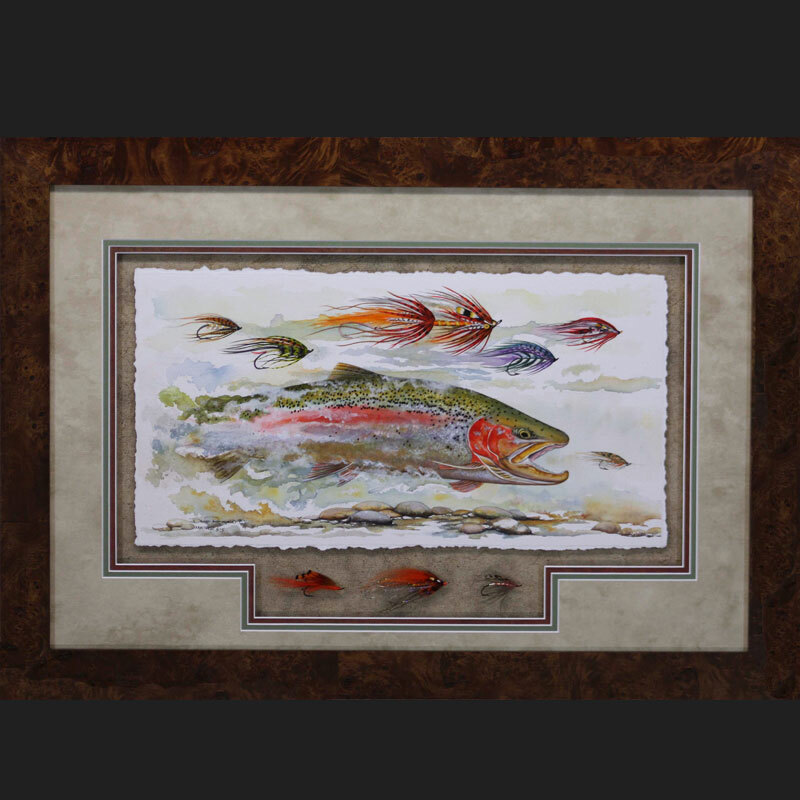 The original paintings are created with acrylic paints in a watercolor style. 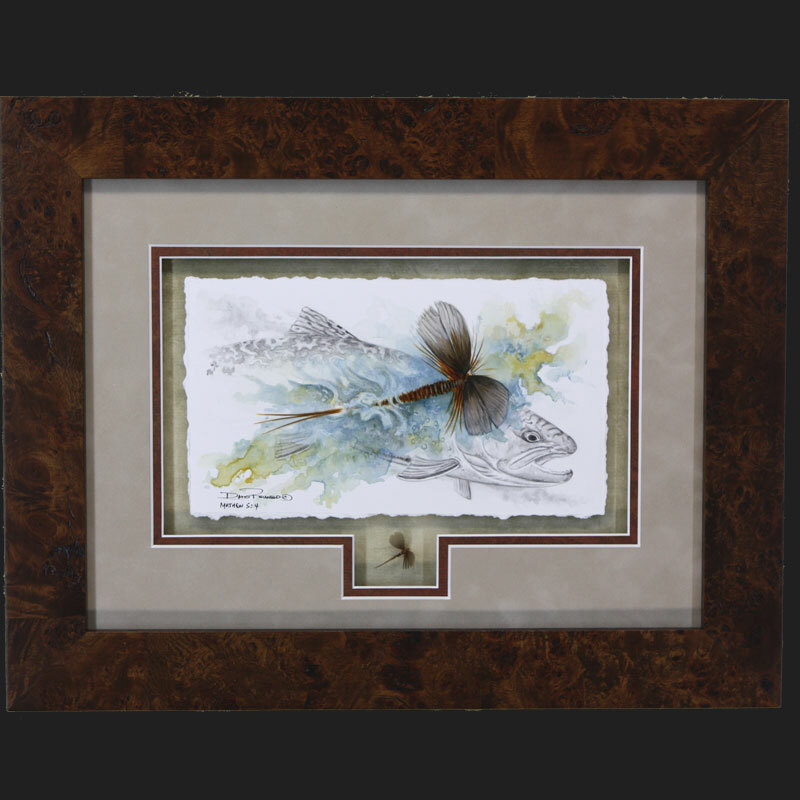 I prefer a 300 lb archival watercolor paper and like the look of the torn edge showing in a shadow box style. 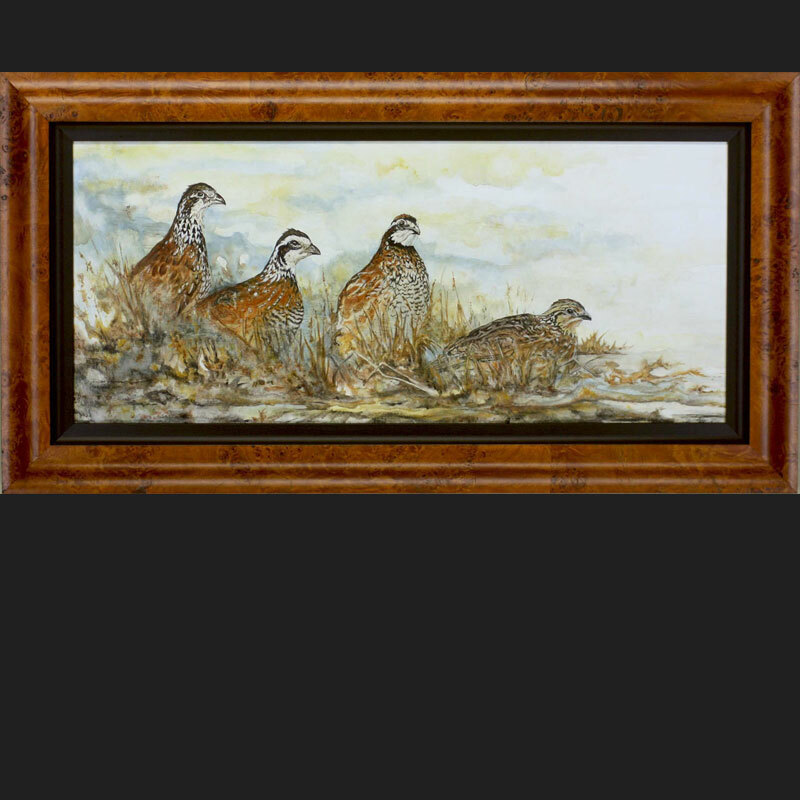 A watercolor canvas or watercolor clay board is also used when there is a need for a large painting or a painting to be framed without glass. 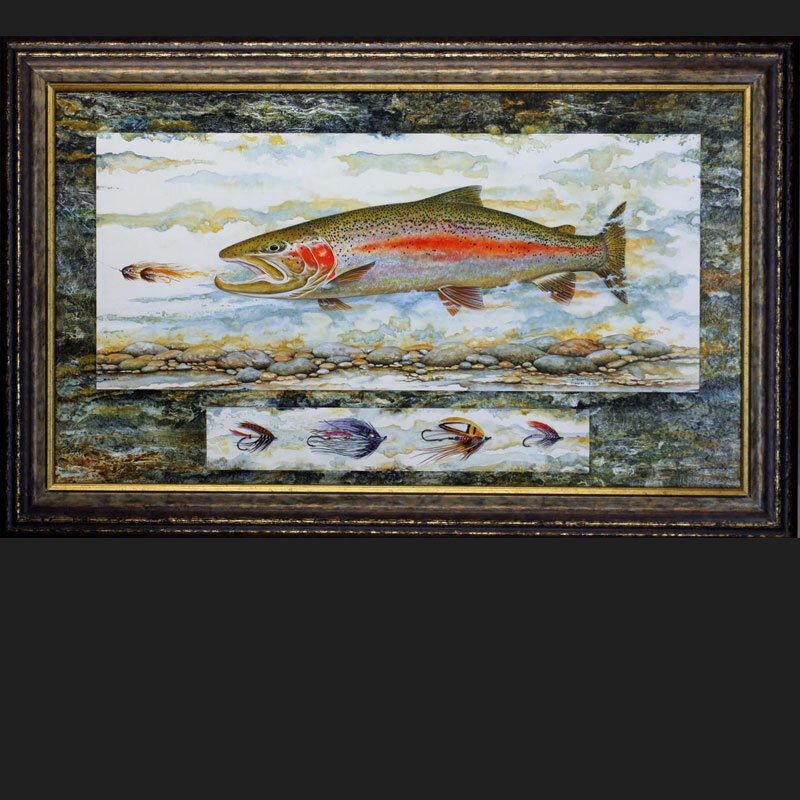 Every original painting is coated with a UV conservation coating to enhance the colors of the paint while protecting the original from harmful UV rays and dust. 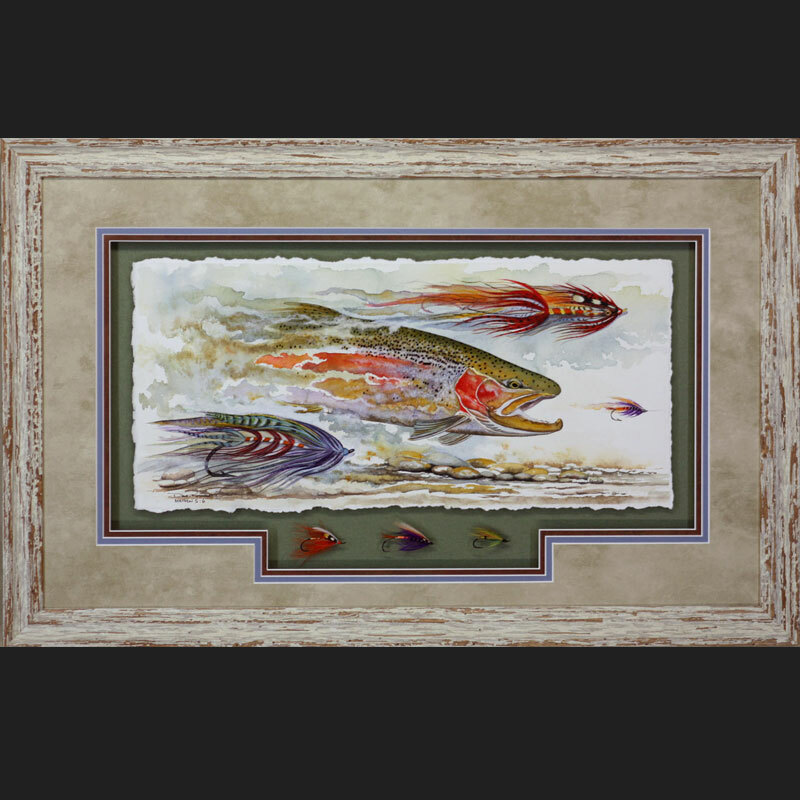 The original paintings may be reproduced as very limited edition Giclee prints or they will remain one of a kind originals with no reproductions ever being made. 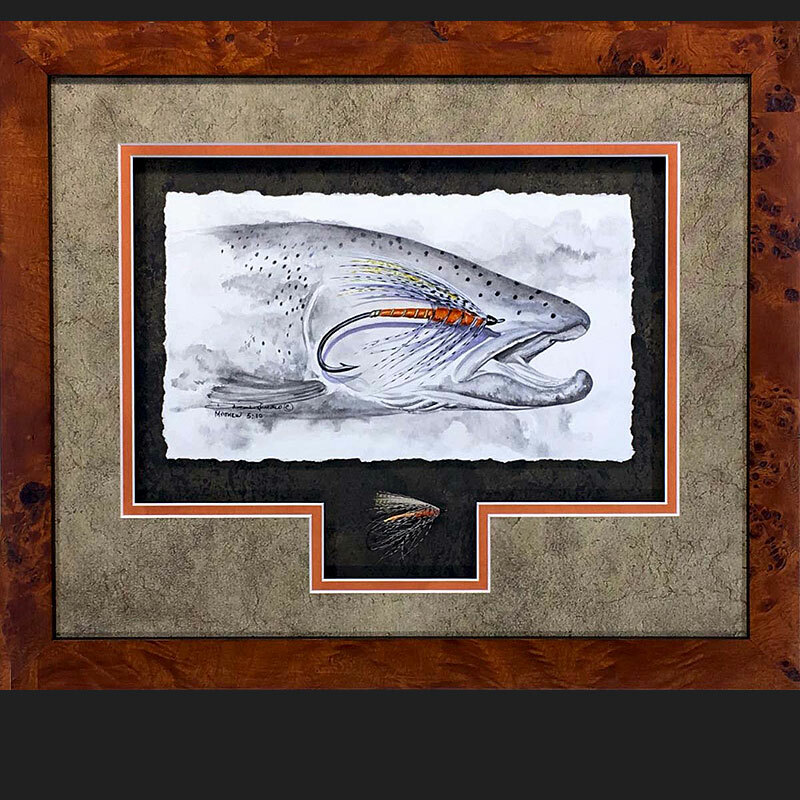 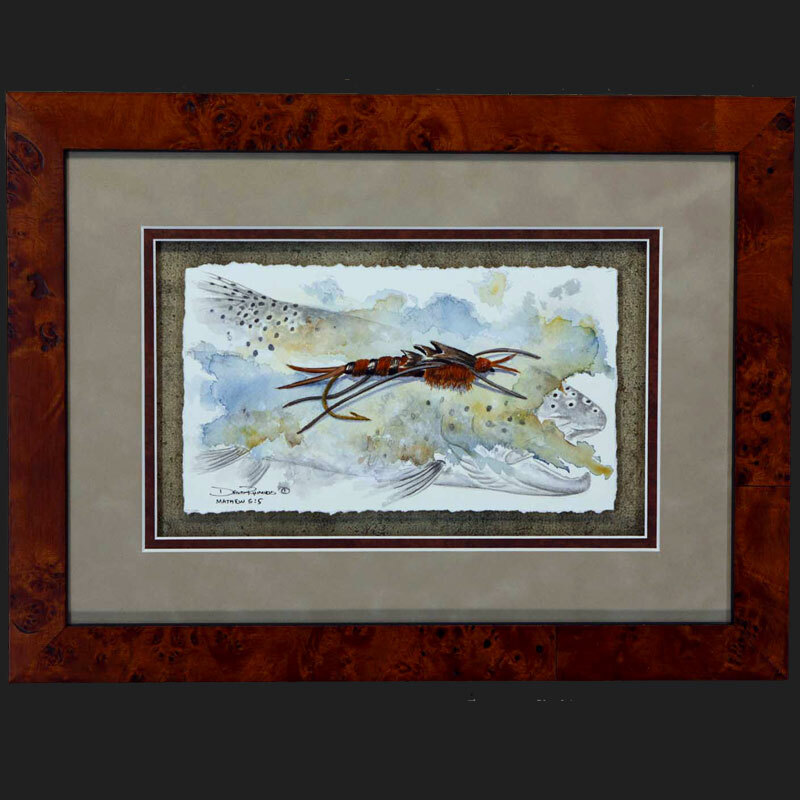 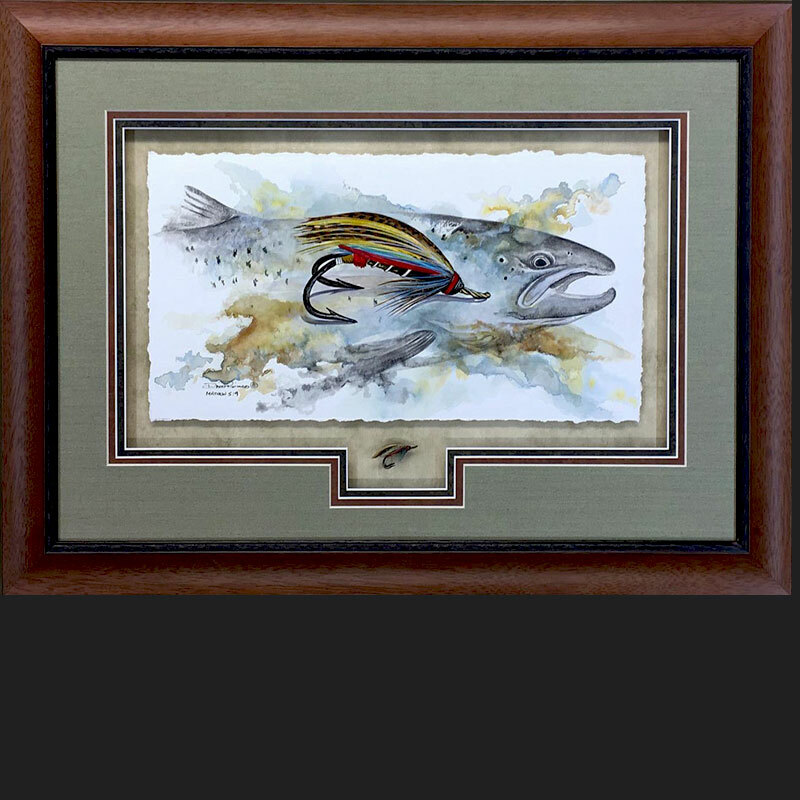 Commissioned paintings of Fly Fishing, Upland, Bird Dogs, and River Map Art can be purchased through the studio. 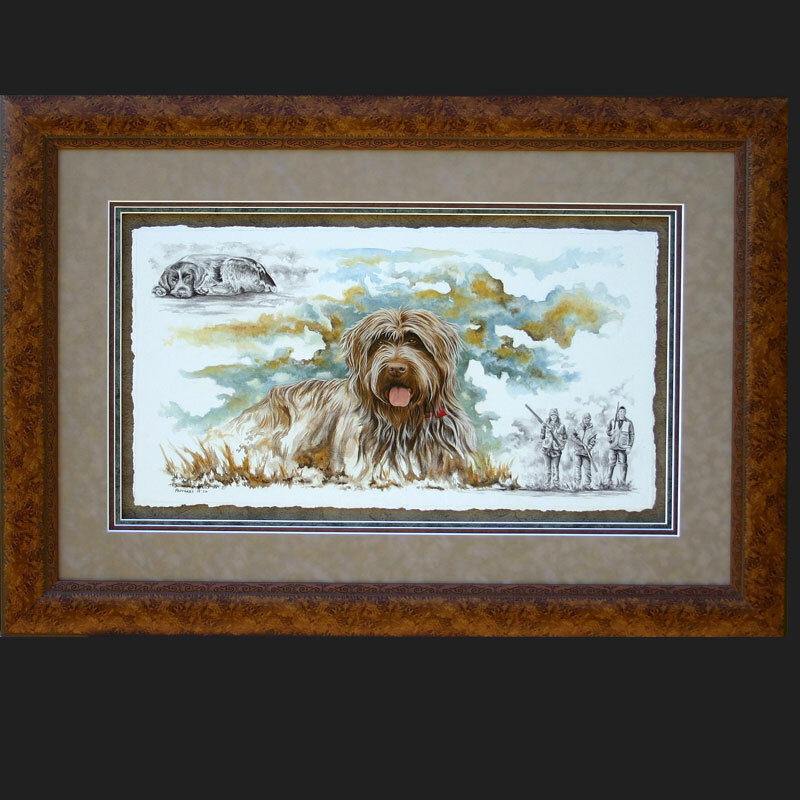 Most of the commissioned originals are created from photographs and information sent to me. 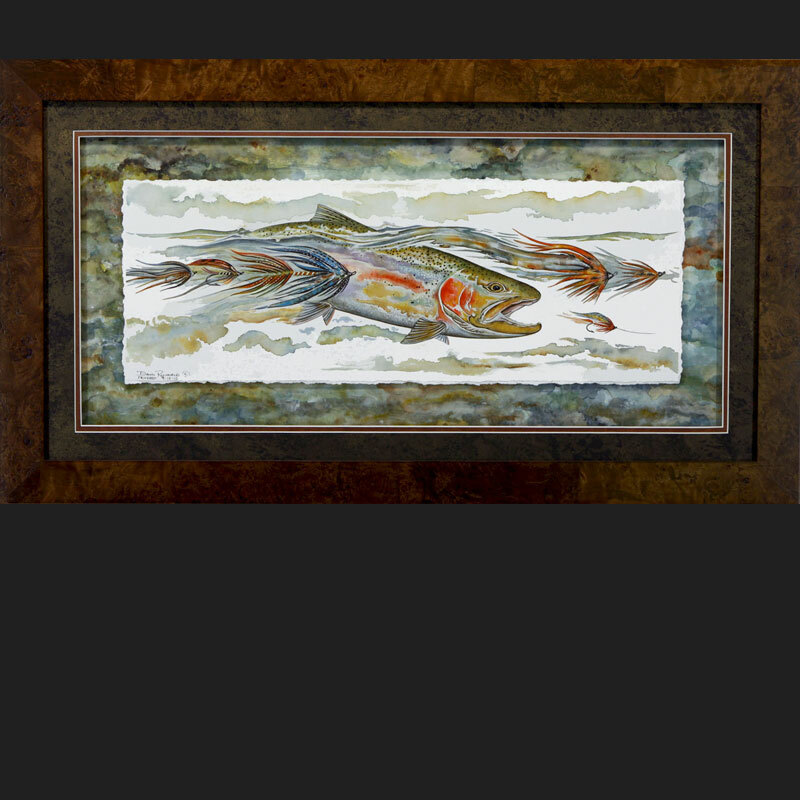 If you are wanting a special commissioned painting contact me anytime to discuss the details. 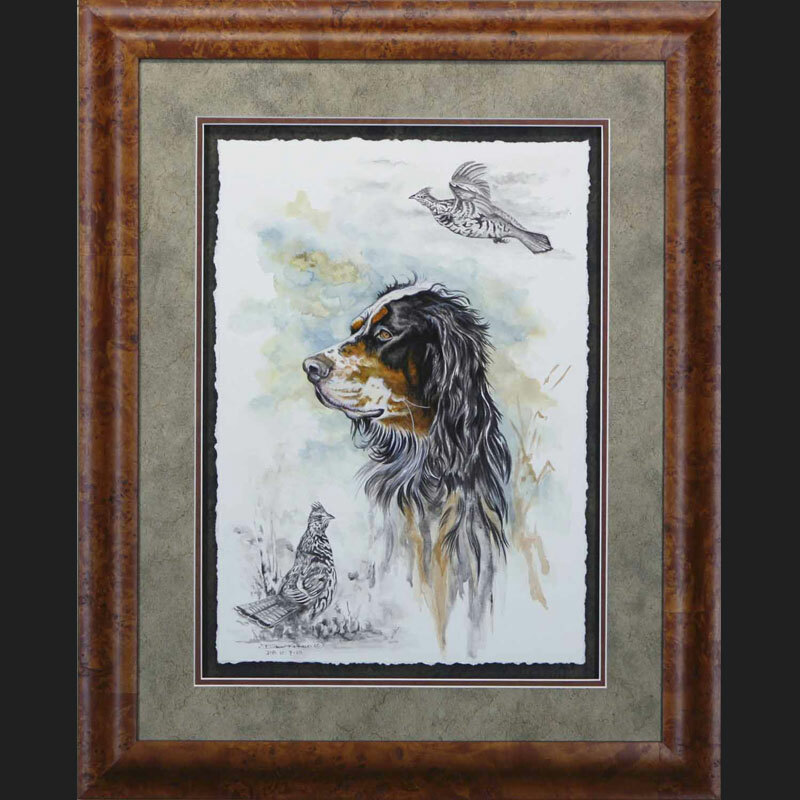 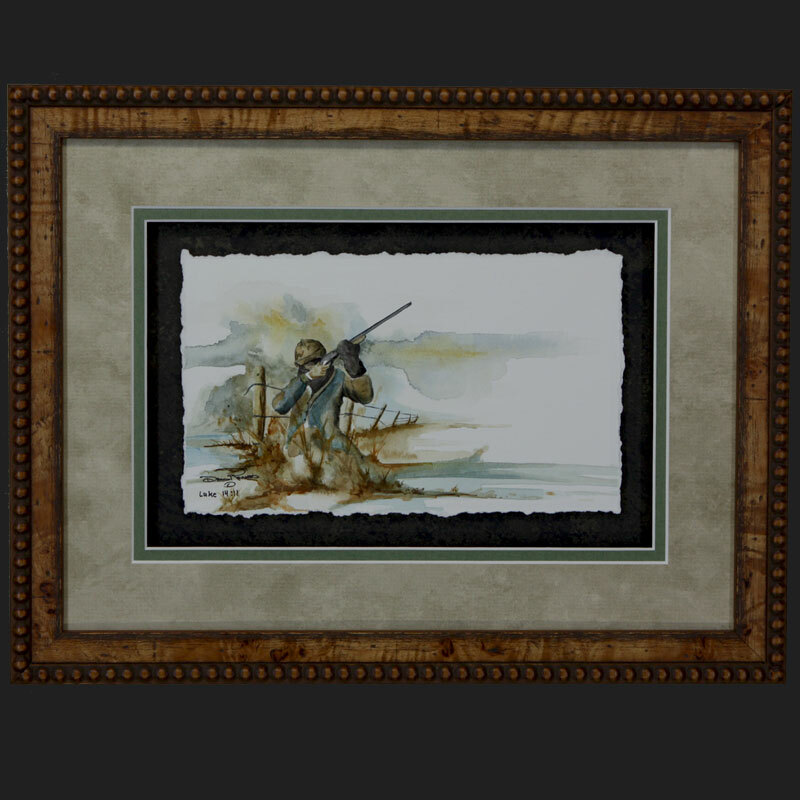 ” Remington ” Bird Dog Painting. 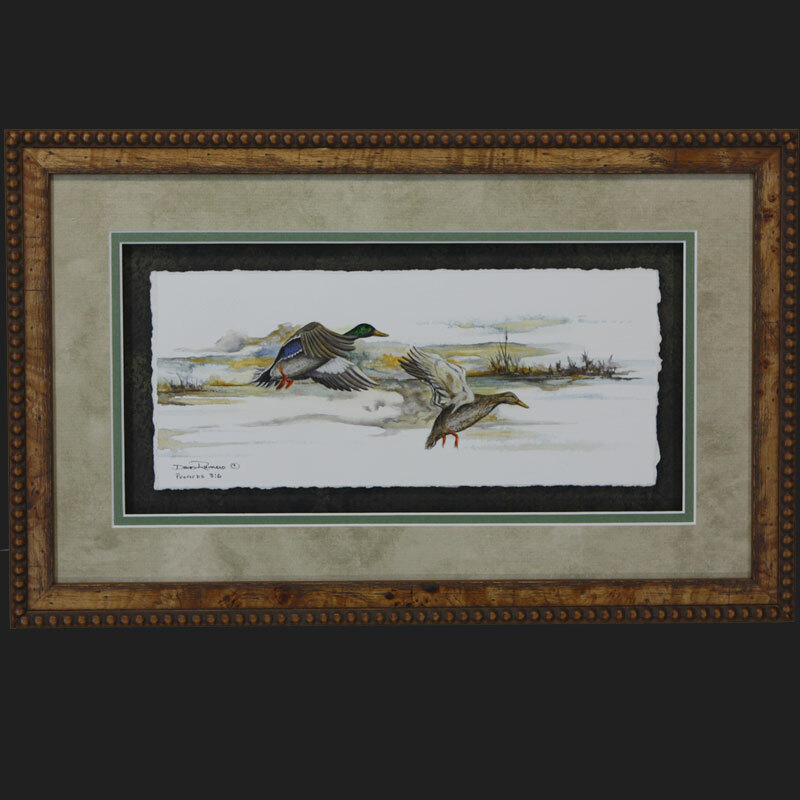 ” Mallards Morning ” SOLD ! 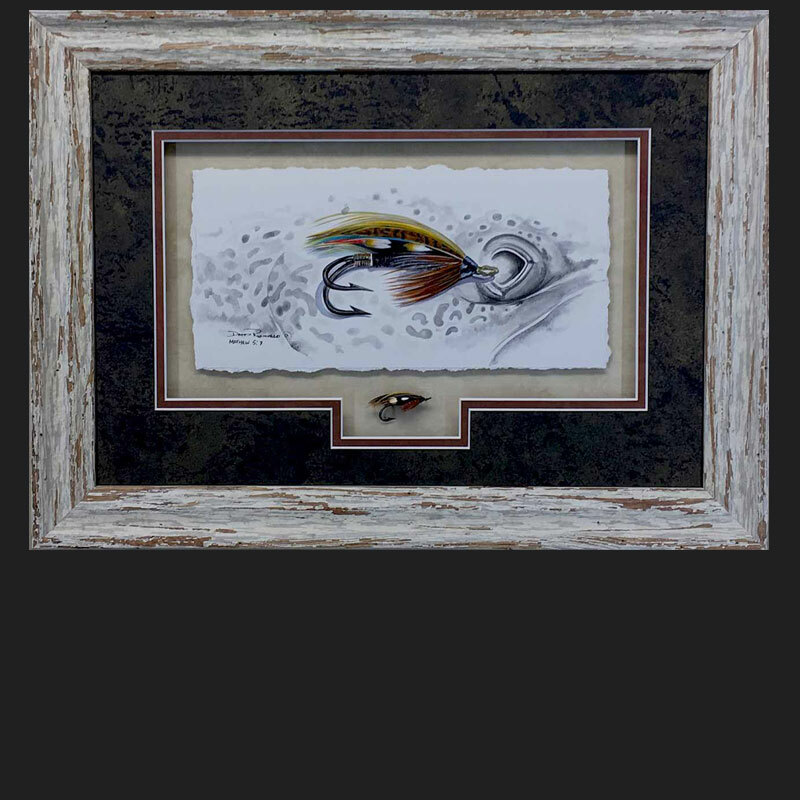 ” Swinging For Steel ” SOLD ! 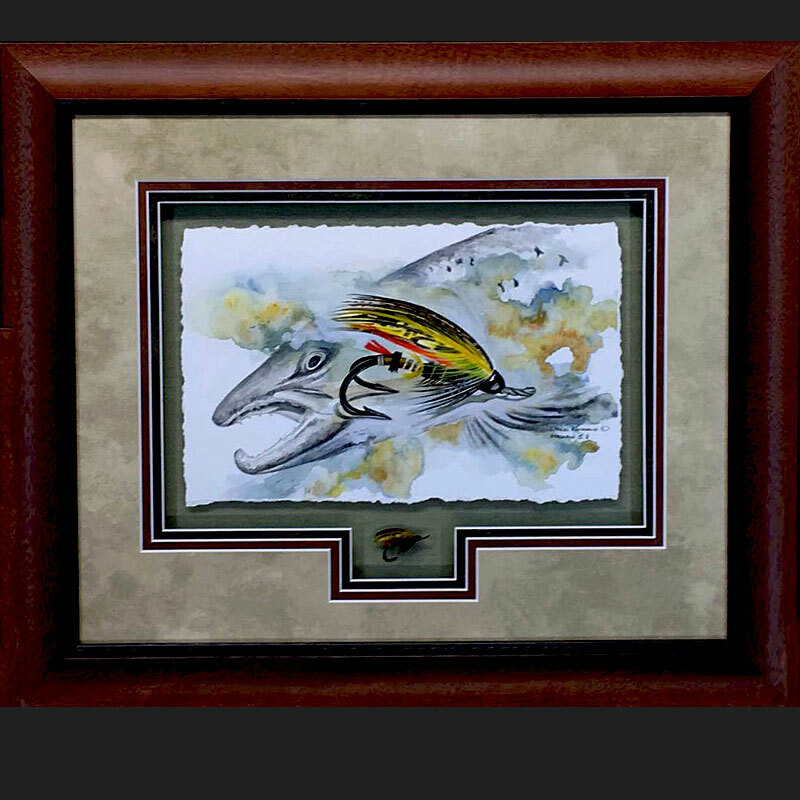 ” Southern Charms ” SOLD!